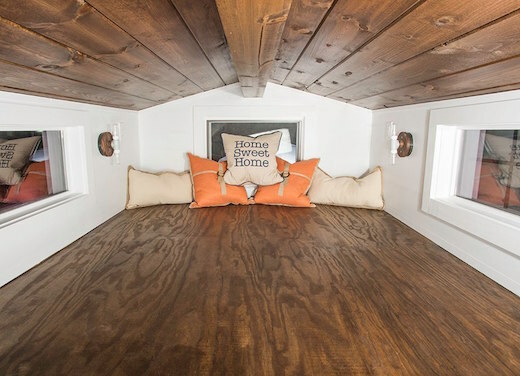 The firm 84 Lumber, which sells building supplies in the US, has branched out into offering tiny homes. 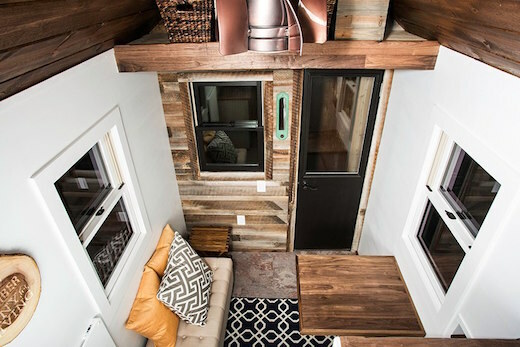 Their tiny homes are intended to cater to all prospective buyers, from those who wish to build the home themselves, to the ones who simply want the keys of their new tiny home handed to them. Their debut model is called the Roving and costs $19,884 for the Semi-DIY option that comes with a basic shell, doors and trailer, while the rest is up to the buyer to complete. 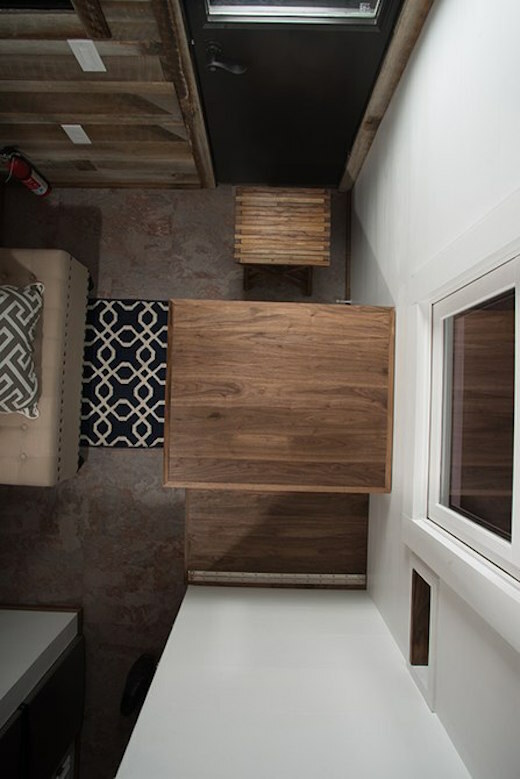 The Roving measures 154 sq ft (14 sq m), which includes a living area, a kitchen, closet and bathroom. The kitchen is equipped with a sink, refrigerator and an electric stove, while the bathroom features a composting toilet and a shower. There are also two lofts, one of which is the master bedroom and has space enough for a double bed. The other loft can be as a storage area. Both are accessible via ladders. The Roving is built atop a trailer, which enables it to be towed easily. 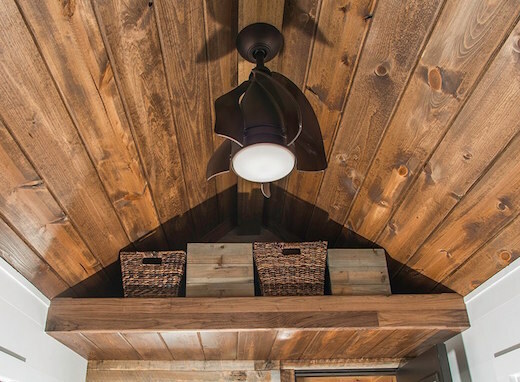 It features cedar siding, low-E windows and a metal roof. 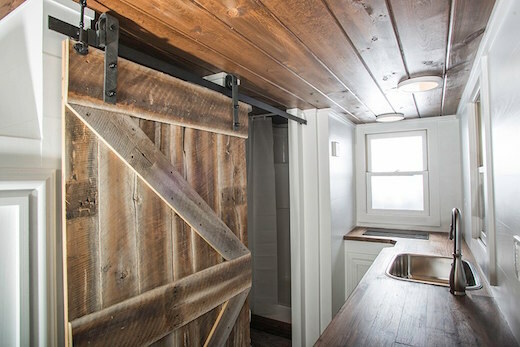 The interior walls are made from reclaimed wood, as is the door. The flooring is made from cork, and the house is also very well insulated, with house wrap and window tape used to keep out the cold air. Heat is provided via energy-efficient wall heaters. The Roving has a standard RV hookup for getting electricity, though the company plans to begin offering a solar power option as soon as possible. Coupled with an easily renewable water source, such as a rainwater collection system and filter (which the Roving is not equipped with) this would make it possible to make this home completely independent of the grid. 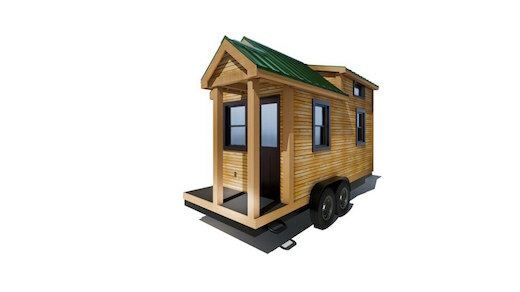 The Roving is being sold in a special system, which 84 Lumber hopes will appeal to all prospective tiny home buyers. Those who wish to take the DIY route can buy the Build-Your-Own kit for $6,884, which contains just the trailer, plans, and a list of materials. Then there is the Intermediate Semi-DIY kit, which comes with the house shell and trailer, as well as windows, the door and shower, and costs $19,884. The complete Move-In Ready option is sold for $49,884.